Lanai was by far my favorite of the three Hawaiian Islands that I visited. 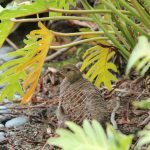 I loved that the island is small and easy to navigate, less densely populated than the other islands, and offers an extremely diverse environment. In one day, you can hike the mountains surrounded by evergreens and then snorkel in the ocean surrounded by beautiful coral; the vast array of activity options can’t be beat! 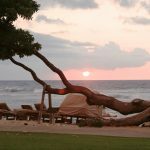 For the full experience, I would recommend spending 2-nights up at the Lodge at Koele and then 3 or 4-nights on the beach at Manele Bay. But if you only have time to stay at one hotel (or you don’t feel like moving) you can still enjoy both properties, and you should! The Four Seasons offers a shuttle that will transport guests back and forth as well as to the airport or ferry terminal. Or, you can rent a jeep and do some exploring on your own! The beach at Manele Bay is the biggest and most easily accessible, but there are plenty other beaches and snorkel spots to discover on your own! At the Lodge at Koele, the atmosphere is relaxed and cozy. 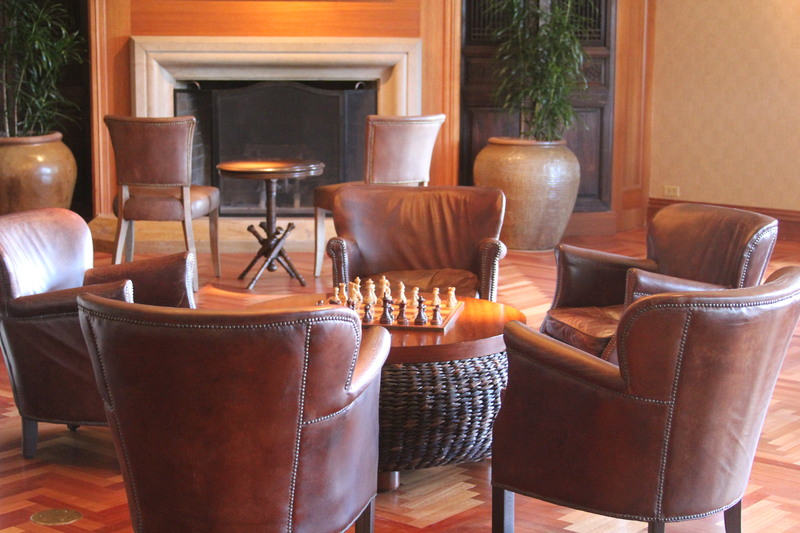 The lobby is just begging you to snuggle up by one of the two massive fireplaces with a glass of wine and a good book. The grounds and gardens are like a dream-world and definitely worth exploring, especially the orchid greenhouse. Availabile activities include golf (with a putting course), horseback riding, clay pigeon shooting, and archery. The Lodge is higher up in the mountain, so weather will be cooler; be sure to pack a sweater! Back down the mountain, Manele Bay will feel like a completely different world with its own climate and seaside location. 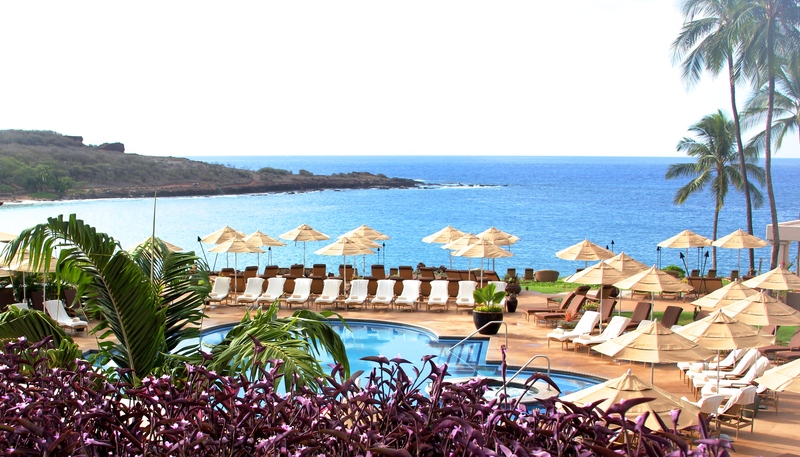 If you’ve been in the past, wipe away all of your previous opinions; this is not the same Manele Bay! New ownership has come in and completely transformed the hotel with a new look and a needed facelift! Renovations will continue throughout 2014 with some new public spaces and completely updated rooms. My prediction, Manele Bay is going to give the other Four Seasons properties a run for their money once the renovations are complete! This hotel is truly a gem! The new lobby is bright and airy and the large doorways beckon you straight through to the pool and the beach, which is where you really want to be anyway! The many dining options keep things new and exciting each night. 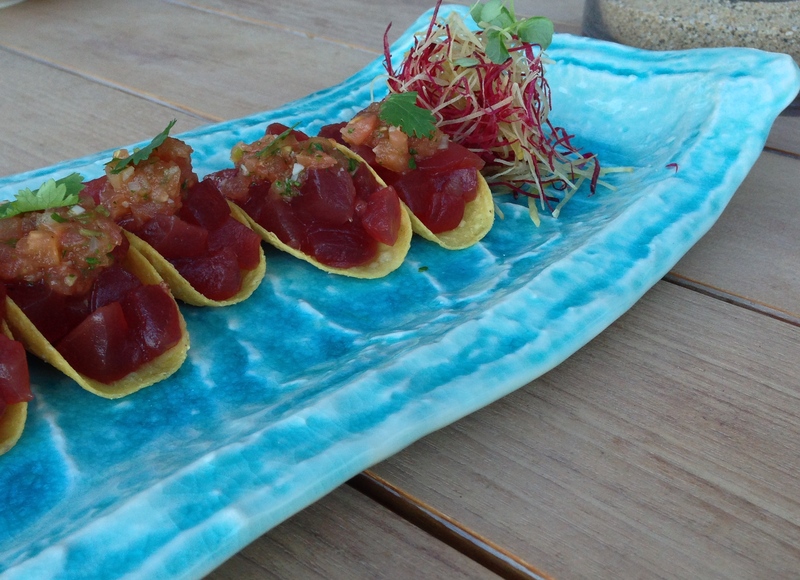 You must try both Nobu and One Forty for two completely different yet equally delicious dining experiences. Breakfast at Kailani is also a highlight here. The coconut waffles are not to be missed! The pool staff is the beating heart of this hotel; they keep guests happy and the positive energy flowing. My favorite treat was some aloe vera ice cubes to help sooth my slightly pink legs after a morning of snorkeling. Don’t miss the delicious sushi at Nobu! Both of the Four Seasons on Lanai have a lot in store for the coming year and this is one to keep on your travel radar! 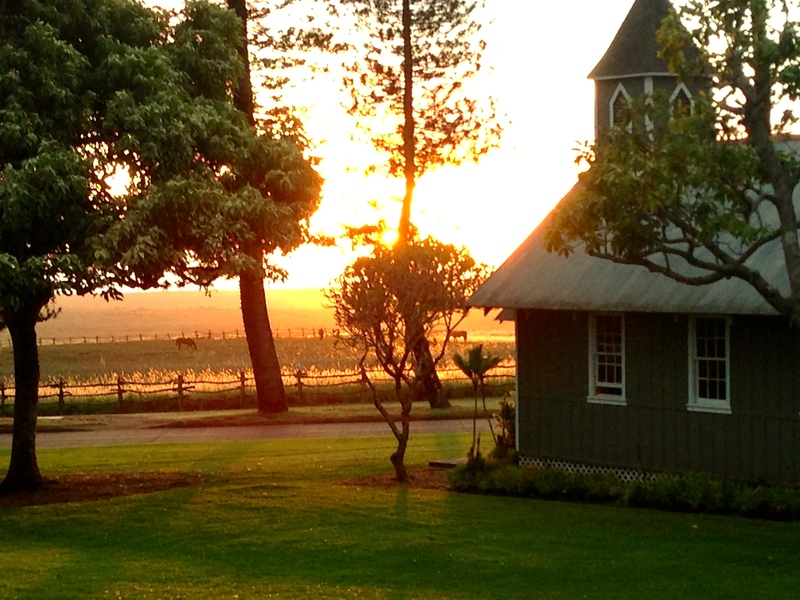 See more pictures from Lanai on my Flickr Page! 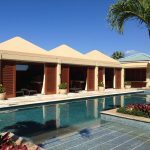 This entry was posted in Beaches, Hawaii, Hotel Reviews and tagged family destination, Four Seasons, golf, Hawaii, hiking, Hotel, hotel review, Lanai, lodge at koele, Manele Bay, Sushi. Bookmark the permalink.